The Lifetime Mammoth 98874 is the top of the line residential basketball system. 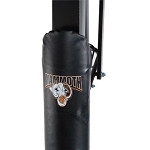 Mammoth Basketball Equipment is designed to handle tough, aggressive play. Mammoth basketball backboards have arena style appearance and play. A steel frame supports the glass, providing superior rebound. The steel frame is galvanized and powder-coated to help prevent rust. The professional quality, full frame pad secures directly to the backboard. Engineered for stability, Mammoth basketball systems extension arms span from the front of the pole to the backboard. This offset creates a valuable playing area beneath the rim. Mammoth backboard units have the look of an Nba backboard and offers exceptional rebounds. Adjustable Basketball Backboards distance from Pole: At 7.5 Height it is 48.875 inches, at 8.5 Height it is 50.375 inches. At 10 Foot Height Offset is 47.5 inches. Mammoths heavy-duty Spring-Flex Rim is built to take the abusive of competitive play. This breakaway style rim features a wraparound brace supporting a 5/8" ring of solid steel. Includes all-weather nylon net. Rim can handle up to 500 lbs of pressure! Anchor kit, backboard frame pad, and pad lock is included with all Mammoths. Backboard frame Warranty: Lifetime Limited. Backboard glass is not covered under warranty. All warranty offerings serviced by the manufacturer, Lifetime Products. Delivery: These are much too large to go via FedEx or Ups. They ship through an LTL carrier on a Semi-truck. The carrier calls ahead of time to schedule a delivery appointment as signature is required. We automatically email you the tracking information once the order ships out. All Mammoth Systems are equipped with a kit to firmly anchor the basketball system to the ground for outdoor or indoor use. The kit is cemented into the ground, and the basketball system pole is bolted on top of the kit. The In Ground pole and basketball set can be removed, while the kit is permanently cemented to its location. 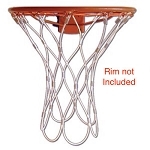 View our other Mammoth Basketball Hoops, Mammoth Basketball pole pads and In Ground Basketball Hoop Lifetime Basketball products. 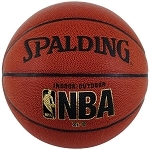 Lifetime Basketball also creates a large selection of other basketball systems. 98862 Mammoth Basketball Hoop - This system is the 60 inch Mammoth Goal. Wow! It's big . . . my kids are gonna love this! The BEST price! Delivered as promised! Thanks so much! Great eBay seller! A+! Totally awesome Hoop, fast shipping . . . AAA+++eBayer thanks!! We are very pleased with our hoop. The kids love it and we have been out there every night working on our game. It is the real deal. I have had this system in place for two years and it still looks like new. It has stood up great to the harsh New England weather. The height adjustment mechanism works easily and has not degraded in any way. The kids play on the court all the time. I could not be more pleased. We are so glad we just did it! The quality and craftsmanship of this Mammoth is amazing. We have had it for 1 year now and it looks just like the day we put it in. I should have bought it earlier. A: Adjustable Basketball Backboards distance from Pole: At 7.5 Height it is 48.875 inches, at 8.5 Height it is 50.375 inches. Dimensions: 123" x 12" x 12"